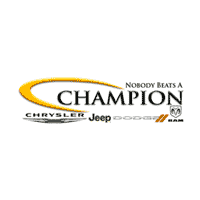 When you need to add a new model to your commercial fleet, look no further than the commercial truck department at Champion CJD of Indianapolis. Our large inventory of heavy-duty trucks serves the Indianapolis area with the capability needed to get your business moving, while our commercial incentives make adding a new truck an easy decision to make. 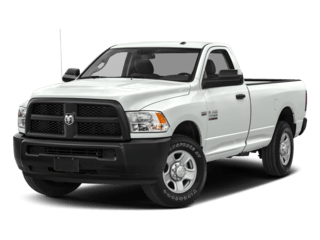 The 2017 Ram 2500 is available in a large number of sizes, powertrains, and feature packages, which is why we’ve compiled this comparison between two popular trim levels: the base model Tradesman, which is ideal for fleet work, and the premium-equipped Laramie, which is the better suited of the two for personal use. Contact a member of our team for any additional information you may need regarding these trucks. 5.7L V8 HEMI® 383 HP 400 lb.-ft. 13, 890 lbs. 3,060 lbs. 6.4L V8 HEMI® 410 HP* 429 lb.-ft. 16,320 lbs.*. 3,990 lbs. 6.7L I6 Cummins® 370 HP 800 lb.-ft. 17,980 lbs. 3,160 lbs. The most popular configuration at our Ram dealership in Indianapolis is the crew cab with 6’4″ box, but the 2017 Ram 2500 is available in several specifications for you to choose from. The heavy-duty Ram 2500 makes the most of the comfort and convenience features available to the line-up. While the Tradesman is a solid workhorse through and through, the Laramie offers more luxurious accommodations for those who’d prefer them. Both trims come with a 40/20/40 split bench, upholstered in heavy-duty vinyl in the Tradesman and leather in the Laramie. Laramie owners will enjoy heated and ventilated front seats, also available as bucket seats. Tradesman seats are manually adjustable, and Laramie seats are power-adjustable. The Ram 2500 models share a design with some slight differences in appearance. 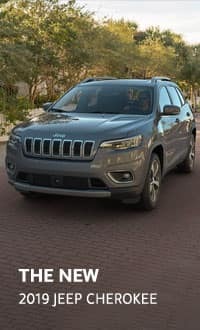 For example, the Tradesman features black exterior trim-such as on the mirrors, bumper, and grille-while the Laramie uses chrome. 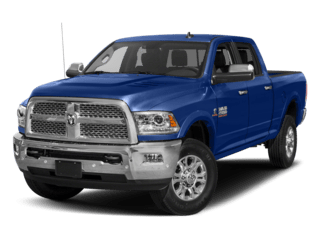 Visit our Ram dealership in Indianapolis to take a test drive or discuss pricing on any of our new commercial vehicles. Our team of commercial truck experts can be reached at (317) 982-5944.